House of Delegates Speaker Michael Busch presented the annual Speaker’s Society Awards during Tuesday’s floor session. 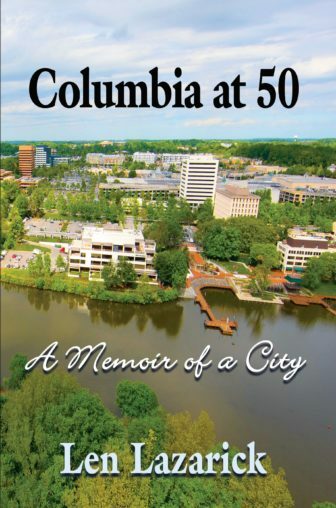 The Speaker’s Medallion and citations were awarded posthumously to victims of the shooting at the Capital-Gazette newspaper last June: Wendi Winters, Rob Hiaasen, Rebecca Smith, Gerald Fischman, and John McNamara. 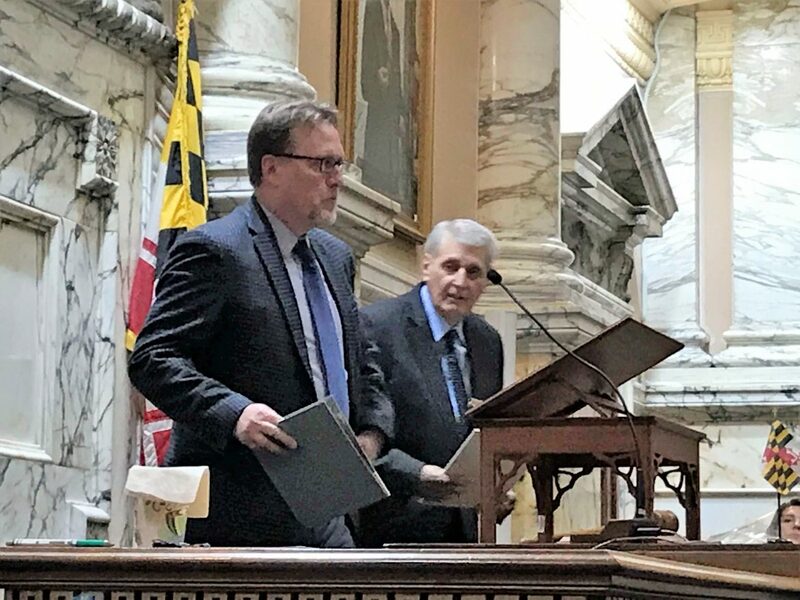 Capital-Gazette editor Rick Hutzell accepted the award on behalf of his colleagues, thanking legislators for passing Maryland’s Red Flag law, allowing guns to be removed from people who are a danger to themselves or others. 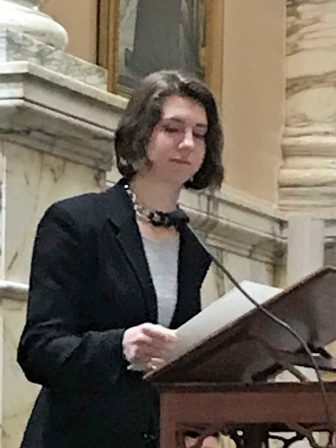 The Casper R. Taylor Jr. Founder’s Award honors a current member of the House of Delegates “for putting the body in front of themselves,” Busch said. He presented this year’s award to Del. 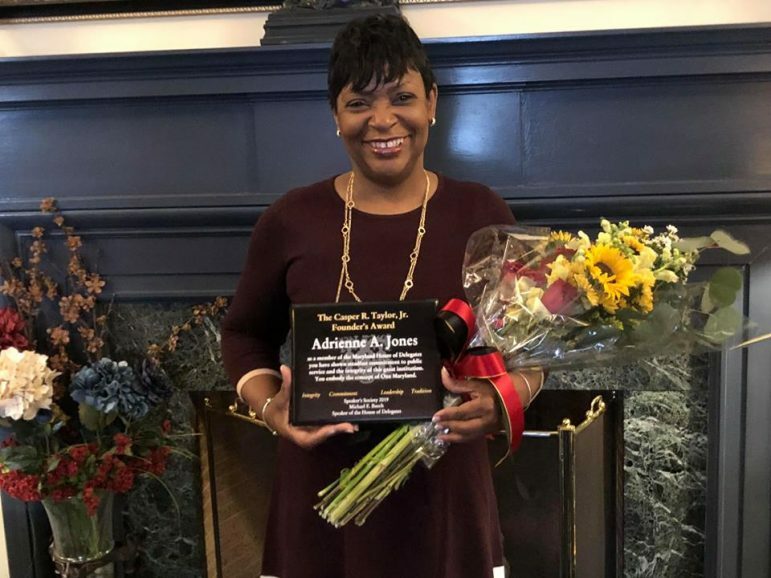 Adrienne Jones, D-Baltimore County, who has served as speaker pro tem since 2003. Busch presented The Thomas Kennedy Award to Joan Cadden, who represented District 31 in Anne Arundel County from 1991 to 2007. 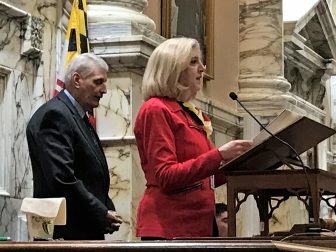 The award honors a former member of the House of Delegates for personal courage and dedication to liberty, according to the award description.